This week will mark the 22nd time the United Nations General Assembly reminds us that our horrifically stupid policy of our trade embargo against Cuba should end. Unfortunately, our hearing is selective in the United Nations. We will not listen. Why? Well the embargo is the law, codified by the infamous Helms Burton Act. So inasmuch the entire world disagrees with our position, once more we will show up as the stubborn one, unrelenting to heed what our neighbors have been asking and pleading with us to do, end the embargo. 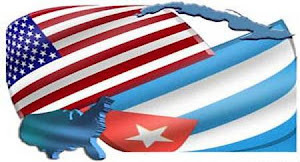 Not only because it is a failed and a mutually destructive policy for Cuba and the United States, but for simply that it has failed to achieve anything constructive or influencing change in Cuba. So if we are supposedly committed to reaching out to Cuba and helping the people, how can it ever be done through an insane embargo or costly travel restrictions? If there was ever an example to demonstrate how sanctions do not work, it is the U.S. Cuban embargo. The seeds of democracy and freedom are not sown in a stew of social and economic isolation and humiliation. The embargo's longevity is driven only by domestic politics, where regretfully there is a core constituency who have played the American political game by the rules, and without any effective opposition. Since the embargo is the law, it is going to take old fashioned retail politics, organizing votes and raising political dollars to impact and affect the elections to bring this foreign policy disaster to an end. It will require an Act of Congress to end the embargo. It is going to take Representatives and Senators to fight for passage of legislation to end the embargo and to stand up to and face down those who would defend the stupid policy on the floors of the House and Senate. They are just not there, yet. Right now, there will only be a lonely few in Congress until people who say they are committed to changing the law start doing what is politically required. The only side that organizes itself into a voting bloc and raises political dollars are those who embrace and defend the embargo. They ensure that there will be empowered politicians elected to every Congress who will block and sabotage any effort to lift the embargo or travel restrictions. On Capitol Hill, politicians know the hardline pro-embargo side can influence elections and raise money consistently. The easiest way to get a check for your next campaign is to simply go on record as supporting the embargo. On the other hand say you are against the embargo and for lifting the travel restrictions and guess what that gets you? An email or a petition. Congressman, who is the more serious and committed side in this fight? In the short and mindless attention span that this issue gets inside the beltway, somehow being pro-embargo has become as American as apple pie. Why change a policy that appears to get votes, influence elections, and raise money for the next campaign? Those who say they are opposed to the embargo, what are they doing? Signing petitions and emails, but no retail politics. For some reason getting political to end the embargo and lifting the travel restrictions is either something to be left to someone else or that somehow those who would like to see the embargo lifted and travel restrictions ended are excused from abiding by the rules of the political game. Guess what is not going to end as long as this is the strategy? So once more the broken record skips again on October 29th. United Nations to the United States: "End the embargo on Cuba." United States to the United Nations: "I'm sorry can you repeat that. I can't hear what you are saying...." See you next year. *-From the movie, Groundhog Day, where the main character is caught in an endless loop of the same day repeating itself until he decided to change.